What is it about this guy? He's the self-help guru to end all self-help gurus. Eighty years later he's still going strong. You can get his books for free from various web sites. You can buy deluxe editions of them. You can download numerous audio versions. It doesn't seem to matter, the guy has a huge following and people will pay whatever to read him. He puts forth some pretty wacky ideas, from "mind-meld" to "atmospheric vibrations," some of which make a little sense if you believe in "karma" or things like that. His behavioral insights are generally sound, though. Always do more work than is required of you. Be pleasant, positive and cooperative. Work as a team and draw on the intelligence and experience of others to help you get ahead. Take care of your health and mind your hygiene. This is useful stuff, and though it's presented as an astonishing set of revelations, it's nothing common sense wouldn't dictate. But back in the day, before there was a real middle-class, this advice to people seeking advancement was no doubt highly pertinent. He's very entertaining to narrate, I'll give him that. 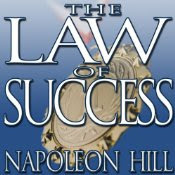 I read some Napoleon Hill about 40 years ago, when I was in my Norman Vincent Peale phase. I vaguely remember his death-bed advice to Woodrow Wilson: "Ultimately, nothing matters." Bit of a downer for a positive thinking guru, I thought. I lost interest when he mentioned his ethereal contact with a secret group of Tibetan Masters, who gave him a secret plan for self-perfection that sounded suspiciously like Ben Franklin's virtue-of-the-week method. please let me know how can I talk to you. I am doing a document and I can use your help.